Today’s guest blog is from Geoffrey Felix, a Tableau Ambassador and founder of the Paris Tableau User Group. Geoffrey is a Manager at saegus where he delivers professional services in data visualization. You can find and contact him at saegus.com. I want to share with you my experience of moving to modern BI with Tableau. Tableau was a game changer for decision making; it changed the way people interacted with the data and deeply transformed the company from the inside—not only the IT landscape, but the whole organization. But it also created a governance hurdle. 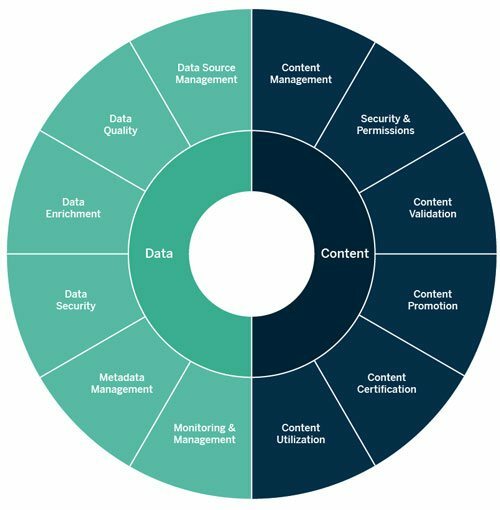 To get the most value from modern analytics, and especially to transform data into information, data and content governance must be assessed. When you discover Tableau, it is the “wahoo” effect. After a demonstration, everyone wants to do some testing with their own data. At this time, they have just started their journey with Tableau! I was always amazed by a Tableau demonstration done with Sample Superstore data—it was smooth and beautiful like a good movie. But when people start to use their own files, it is not as easy. First, they realize they need clean and reliable data, and this workload can sometimes be huge (thanks Tableau Prep for making our lives easier). What often happens is that people will use their reporting tools to extract the data and recreate their own dashboards or do visual analysis. At this point in my journey, Tableau was present in several parts of the company. But people were isolated, as they are most of the time, without governance processes created yet. To get to the next level, the IT department needs to be present and assist you in getting the most out of Tableau. Companies will want to integrate Tableau into their information system. Instead of accessing old reporting data extracts, people can connect directly to sources and raw data. 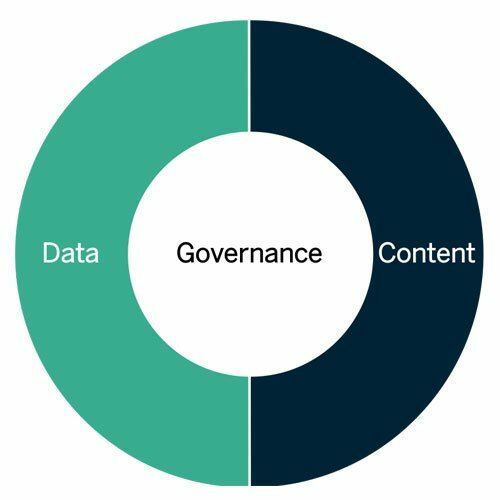 This creates a governance hurdle—you have to balance new access with a framework that maintains the integrity and accuracy of the content where the data is used. Sometimes raw data is easy to process because of simple legacy systems or a good data dictionary, and the IT team can create certified data sources for Tableau in several days. Other times—well, let’s be honest… 80% of the time—raw data is a nightmare and you’ll struggle to get processed data to your business. Why? Because there was likely a lack of consistency in the information system and the old reporting tools had all the intelligence that was validated at that time. It’s not practical for companies to implement modern analytics as a “big bang” project; you need to deliver value fast in a competitive context, and governance must be flexible and iterative to achieve this. Depending on the company context, a new organization can emerge with a defined scope of processes, roles, and responsibilities that span everyone involved in data projects. We faced some challenges on a recent project where some people were a few months into using Tableau and had started questioning the integrity of the data. The same calculations were being recreated across different data sources, and it was kind of funny how the perception of “it’s only a ‘workbook’ in my personal folders” meant nobody felt responsible for discrepancies. However, one day a department manager used one of these workbooks to negotiate with a customer and the product margin was wrong. The customer realized this and we lost a deal. From that day we’ve learned that people are the key—not the tools—and that governance is not a switch you turn on. We needed to create a framework of governance that would provide clean and correct data to enable visual analysis for better decision making. We started a team to work on these challenges. An audit of Tableau Server was done to map and understand the most-used data sources and certify them as company-trusted. Training and adoption were also revamped—bye, bye two-day trainings for beginners and advanced users; hello webinars with real use case scenarios and on-demand coaching (more like real-time workshops and prototyping). New activities and presentations were also created during fun events to help people understand Tableau. You’ll see real value when Tableau is broadly deployed across the company, but only if your governance framework can ensure accurate data and analytics content. It becomes more than data visualization—it’s a communication system that will link the whole company in making better decisions. For related content, read the Governed Self-Service Analytics at Scale whitepaper. This post is part of a series where Tableau Community members share their experiences moving from traditional to modern BI. Hear more of their thoughts and lessons learned about escaping traditional BI, consolidating trust with Tableau Data Server, deploying modern BI in a traditional environment, and scaling Tableau in the enterprise.